Locally Developed Knee Surgical Technique Puts Patient Back Into Life Mode - Orthopaedic International, Inc.
EDITHA de Guzman had, for about seven years, struggled with knee arthritis which limited her mobility and caused her excruciating pain in the last year. When she was in Canada where one of her daughters lives, she wouldn’t go out with her friends and instead, just stayed home watching TV. Mornings were especially trying as she struggled to get up from bed with difficulty. In the middle of the night, she would wake up to answer nature’s callbut had to crawl all the way to the bathroom, as she didn’t want to wake upany of her children. But a trip back to the Philippines to have her knees checked changed everything. She learned she had to undergo knee replacement operation for both her knees. The cost, however, was too expensive. World-class technology developed by Filipinos until she learned of another option: the Axis Knee Replacement System, the only one of its kind in Southeast Asia, and which has been in the Philippine market since July 2015. With funding by the Department of Science and Technology-Philippine Council on Health Research and Development (DOSTPCHRD), the Axis Knee Replacement System was developed by a team spearheaded by internationally renowned surgeon Dr. Ramon B. Gustilo from Negros Occidental. Theteam is composed of Filipino, American, Japanese, and Chinese specialists. A knee implant basically has three components: the femoral (thigh) component made of a highly polished metal alloy, the tibial (shin) component made of polymer sometimesheld in a metal tray, and the patellar (knee cap) component which is also made of polymer. A well-designed knee implantcan last up to 20 years. During surgery, the surgeon cuts off damaged cartilage and bone from the weight-bearing surfaces of the knee and replaces them with these artificial parts. They should be well aligned with the mechanical axis of the leg. “Axis means that the system achieves correct positioning of the implant components in relation to the mechanical axis which is the line from the center of the hip joint to the center of the knee to the center of the ankle,” explained Dr. Gustilo. The Axis Knee Replacement System is made of similar materials as other knee systems sold in different countries around the world. Yet, it has many features that make it unique from existing systems, which Dr. Gustilo and his team believe will give better patient satisfaction and outcome. Among these is the instrumentation.“These refer to a set of instruments used to guide the surgeon to make the proper cuts in the bone, so that the knee implant components would fit over these cut surfaces of the bone and at the same time, they would be properly aligned with respect to the mechanical axis,” said Mr. Jude L. Sasing, a member of Dr. Gustilo’s team. The system consists of three trays of instruments – more than 50 instruments all in all – in contrast to imported knee systems which consist of six to nine trays of instruments. “They’re like hand tools – one of them looks like a hammer, another looks like a pair of pliers, while another looks like a cutting block with slots where you insert the saw blade used for cutting the bone,” said Mr. Sasing as he described the Axis Knee System instrumentation. Among these instruments is the Mechanical Axis Finder, a portable, cost-efficient, and reusable device which locates this imaginary line called the mechanical axis. In many hospitals around the world, a computerized navigation technology is used to locate the mechanical axis. Only a few hospitals in the Philippines have this equipment. Computerized navigation systems also cost more than P20M and add atleast P20,000 to the total cost of surgery. Another feature of the Axis Knee System is a novel surgical technique called “Soft Tissue First Technique” that takes full advantage of the unique instruments. This new technique involves ligament balancing before cutting bone. The instruments and technique guide the surgeon to achieve optimal implant alignment for each patient. Meanwhile, knee implants imported from the United States and Europe cost between P100,000 to P120,000. While the materials are the same, their local counterpart costs about P60,000 in government hospitals and P70,000 in private hospitals. The product is manufactured by Gustilo’s Orthopaedic International, Inc. (OII) with Mr. Sasing himself as its President. Based in Cabuyao, Laguna,OII is an ISO 13485-certified facility which has been designing, developing, and manufacturing orthopedic products including trauma, spine and joint replacement systems, for the past 20 years. ISO 13485 represents the requirements for a comprehensive quality management system for the design and manufacture of medical devices. 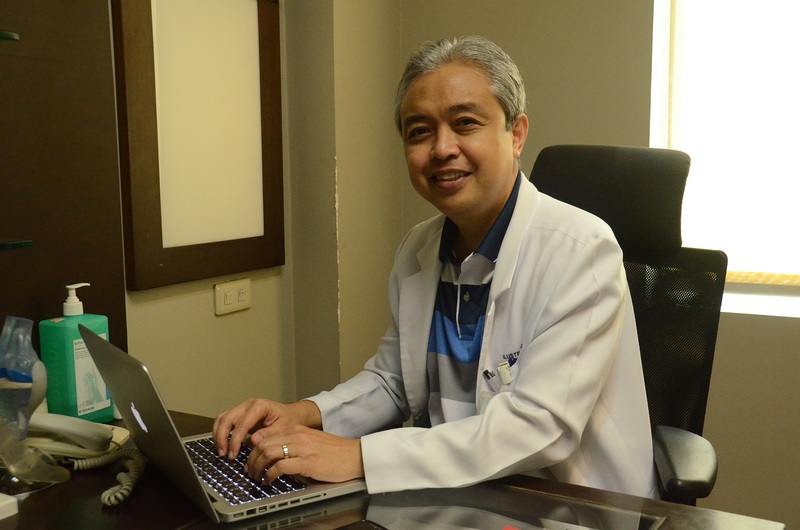 Thus last February 17, 2016, de Guzman, 68, underwent operation for both knees performed by Dr. Guloy. “Pag gising ko, walang sakit (When I woke up, there was no pain),”she recalled. It stayed painless the next morning. After one week, she was already climbing the stairs at the hospital and shortly after, she went malling with her daughters the whole day. The only problem is she still finds it a little difficult to stand up by herself which, Dr. Guloy said, is natural. He assured her that with therapy, the problem will go away in due time. She receives therapy three times a week, aside from the medications for the first two weeks after the operation. As of April 2016, there have been 61 cases of Axis Knee Replacement surgeries in thePhilippines. Editha de Guzman is one of Dr. Guloy’s latest patients. Initially, she and her children Tess, Jojo, Mavic, Cesar Jr., and Cecil had misgivings about it, considering that it is a new surgical technique and is a lot more cost-efficient than imported knee implants. “Nangayayat ako sa kakaisip. Minsan nga hindi ako nakakatulog. Sabi ko, ‘Bilhan niyo nalang ako ng wheelchair kasi natatakot ako. O kaya pa-injection-an niyo na lang ako (I thought about it a lot, I grew thin. Sometimes,I couldn’t even sleep. I said, ‘Just buy me a wheelchair because I’m scared. Or let me have the injection),’” she told her children who started researching about the Axis Knee System on the Internet. Thus, they turned to Dr. Guloy for the knee replacement procedure. It was “a leap of faith,” as Cecil termed it. Editha de Guzman’s goal and that of her children and seven grandchildren has been achieved. 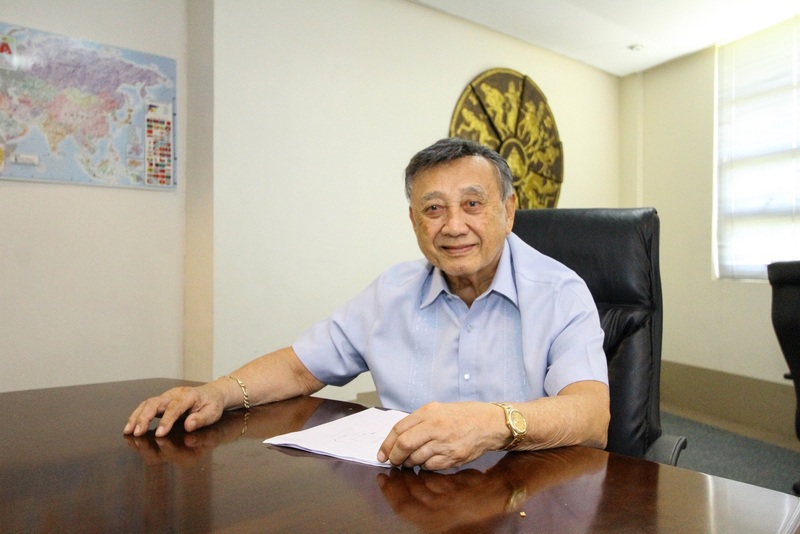 “Napakalaking ginhawa itong pagkaka-opera sa akin talaga (The knee operation has given mesuch a huge relief really),” de Guzman said. She plans to go back to Canada this June and be ready to go out with her friends in Winnipeg once again. She’s also planning a trip to the Holy Land before the end of the year. “This is really life changing. What we were trying to avoid is when her mobility becomes very limited and then she will get depressed,” Cecil revealed. “So now she’s no longer irritable. The old Nanay is back. May 24, 2018. Axis Knee System is Available Nationwide! Feb 07, 2018. What Makes Axis Knee System unique? Oct 06, 2016. Orthopaedic International goes to THAILAND! Sep 30, 2016. Axis goes to (Bicol) Access! Copyright 2009, Orthopaedic International, Inc. All rights reserved. Developed and Maintained by JML Internet Solutions.